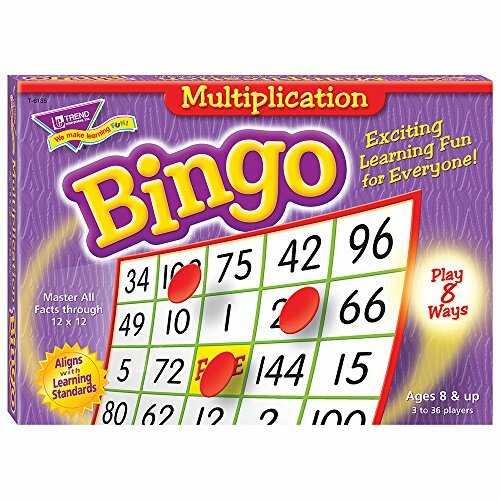 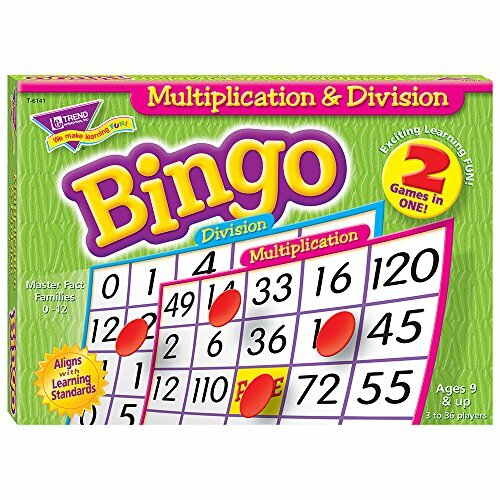 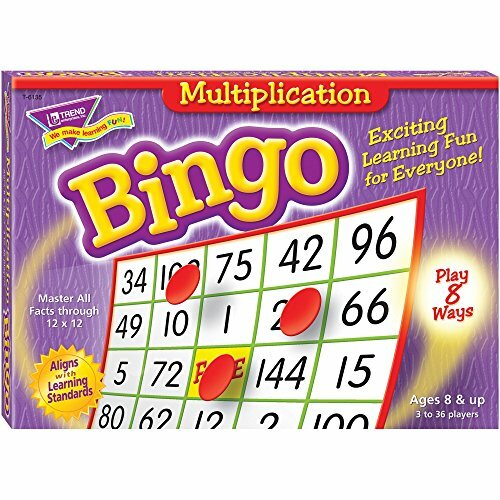 Addition, subtraction, multiplication, division bingo card game. 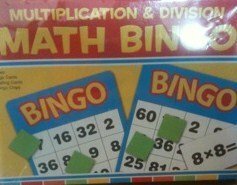 Double Value! 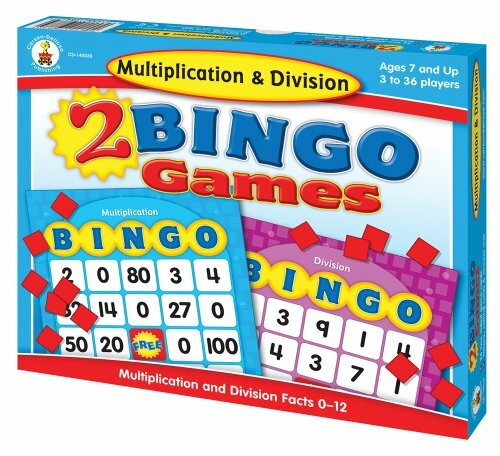 2 games-in-one. 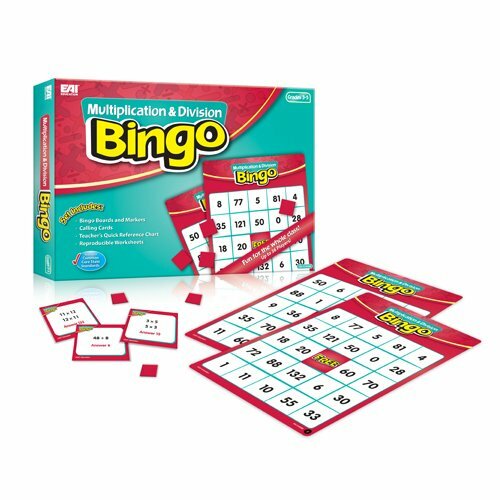 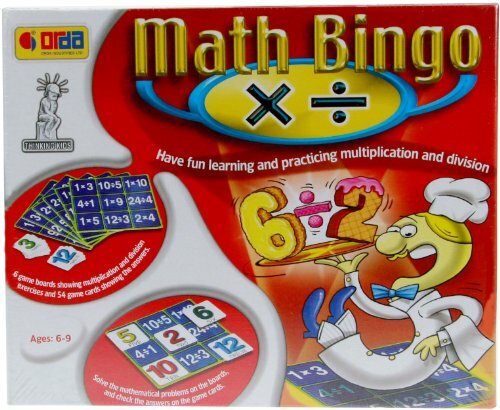 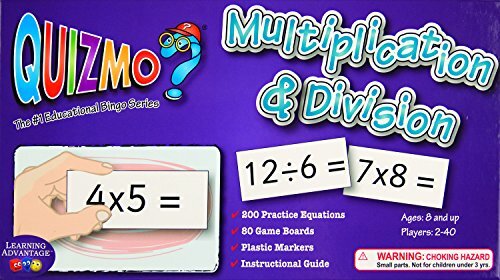 Includes 40 double-sided cards (80 game boards), 100 calling cards that double as flash cards and plastic markers. 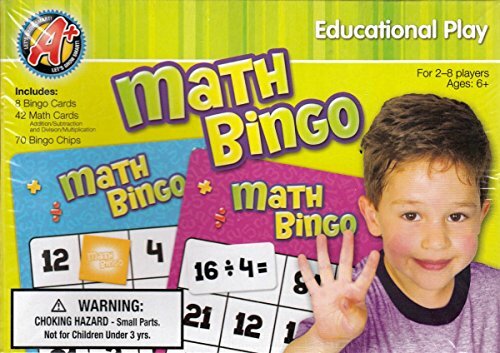 2-40 players.